You know you need tech support for your small business, but like most other business owners, you believe it’s too expensive for you to buy into. It definitely seems like a good thought, but when you look further into it you might actually be hurting yourself. Technical problems can pop up at any moment. If you aren’t prepared to handle them, they could sneak up on you and mess with your computers and other technical belongings – and by then, it’s too late. So now the question isn’t whether you should get tech support or not; it’s finding out how much you need for your business. Don’t worry, we’re here to help with that. Keep reading to find out more about what small business IT services are best for your budget so you can be prepared to take on any tech situation. 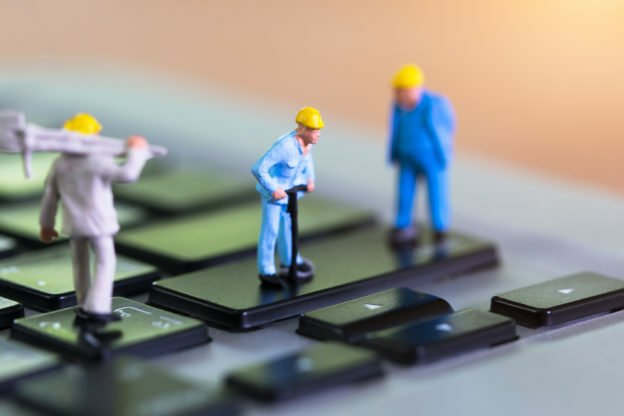 There are two types of small business IT services that you can use to protect your business: self-managed IT support and outsourced IT support. Both are beneficial to your business and each come with their own pros and cons. Let’s start with self-managed IT services. Self-managed IT services are – you guessed it – self-managed. They typically hold headquarters in a building just like yours and work during approximately the same hours that your business runs. The good news is that they stay online when your business is, so as long as your business stays open, your support is on standby whenever you need them. The bad thing about self-managed services is that they tend to be more expensive than their outsourced counterparts, so if your main priority is saving money this may not be the way to go. On average, self-managed IT services cost $40,000 a year. That’s not too bad of a price for the tech help you need. Outsourced IT services don’t live right on your site; instead, they can be accessed remotely to help you with your IT needs. This doesn’t mean they aren’t as good as the self-managed services, however. There are many outsourced IT companies that offer great service, and since they’re remote you don’t have to pay them to stay at HQ. The way to pay, however, can be a little confusing. Since the services are not located at your specific headquarters, and since you don’t have to pay for them to be at the ready all the time, prices can vary pretty drastically. Since they also aren’t stationed on-site, you won’t get immediate help if you should need it, so if reliability is your buying point then you may want to think twice about hiring outsourced services. On average, outsourced services cost around $1,000 to $1,500 a month, but there are some companies that allow you to pay as you use them. Now that you know what it takes to get tech support for small business, you need to where exactly you should go to get the support you need. Luckily for you, you don’t have to look any further. At The AME Group, we make sure we offer the best services that fit your budget. We offer tech services, security & compliance technology, cloud services, and more across the healthcare, manufacturing, education, and business industries. Have a question you’d like for us to know about? Not a problem. Just send us a message or give us a call, and we’ll be happy to help you with any concerns you may have. Come and check us out. We look forward to having you here.